Context: the organisation is hiring new people and it is selecting the proper profiles. Also, the new resource needs to be operative and productive as soon as possible. Needs: The organisation needs to make sure that the candidate is sound and fits within the organisation’s mission and values. Moreover, the organisation needs the new resource to be able to work immediately, reducing the induction procedure. Activity: Testing individual’s vision, expectations and profile. Introduce the new resource within the ongoing workflow. Beyond the traditional human resource selection techniques and processes, i.e. CVs, interview… a LEGO® SERIOUS PLAY™ based interview – and eventually a LEGO® SERIOUS PLAY™ based workshop – may offer an unique perspective to better understand the candidate and help his quick engagement with the organisations. In this case, the LEGO® SERIOUS PLAY™ based interview does not have any diagnostic purpose, but it is designed to enhance the organisation to collect more information about the candidates and have a better picture of the person and the professional and his adherence to the organisation’s values and mission. The candidate, on the other hand, has the opportunity to express himself freely, sharing his values and the motivations that lead him to apply for the position. Such an interview is an excellent opportunity both for the candidate and the organisation to get to know each other and make the right choice. 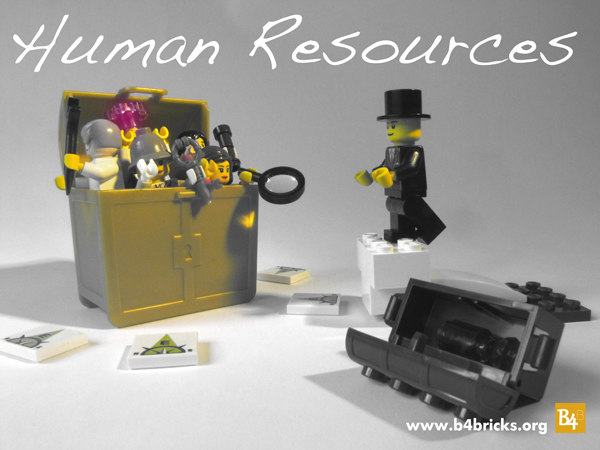 After the candidate’s selection, if the organisation needs the new resource to be immediately operative, a LEGO® SERIOUS PLAY™ based workshop could be designed to reduce the induction process so that the new resource can join the team and/or the organisation quickly and efficiently, getting to know all his new colleagues. Introducing a new professional, with his specific skill sets, may impact on the overall team and its dynamics. This workshop differs from the Team Building Path because it does not solve problems, but it prevents tensions: the workshop is designed considering that participants are a sound and established team, but the new comer. A workshop like this supports both the new hired professional to integrate and mingle with others and the rest of the team to introduce themselves, present the team’s dynamics and adapt to the new asset, reducing induction processes and putting the new resources immediately in the workflow. This entry was posted on May 4, 2013, 3:52 pm and is filed under Uncategorized. You can follow any responses to this entry through RSS 2.0. Responses are currently closed, but you can trackback from your own site.